Cinema was the medium for entertainment and news, and the public loved it. Much technological innovation occurred during the ’20s, most notably synchronised sound, and it was the dawn of the “film star”. Right from the start, the movie industry was influential on trends and fashion. Audiences went to see stars such as Gloria Swanson, Greta Garbo, and Lillian Gish as much for their wardrobe and hairstyles as for the film. 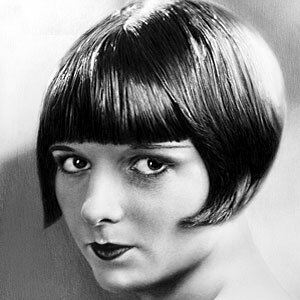 Actress Louise Brooks (1906-1985) wore her dark hair in a sleek and straight “Buster Brown” or “Dutchboy” bob, known as her “black helmet”. One of the few actresses who made the transition into “talkies” was “It Girl” Clara Bow (1905-1965), who had a mass of red hair. When fans discovered she used henna (commonly used to colour hair), sales apparently tripled. She also set trends with lipstick application, applying it with a heart-shaped upper lip – the “Clara Bow” (also called a cupid’s bow). 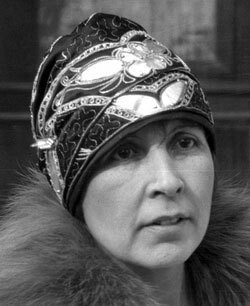 In the United States, influential dancer and trendsetter Irene Castle helped to make the bob popular. When she cut her hair short (c. 1914), American women flocked to get a “Castle Bob”. Another highly-successful dancer, Josephine Baker (1906-1975), had an “Eton crop”, slick and shining with hair pomade and often finished with a few curls. The first female star of tennis was French player Suzanne Lenglen (1899-1938), who wore bobbed hair, a brightly-coloured bandeau and “outrageous” short dresses with bare arms to Wimbledon. Newsreels and magazines projected her image all over the world, and her influence on fashion was so strong that the of wearing of a bandeau was copied by women across Europe. “Queen of Fashion”, Gabrielle “Coco” Chanel (1883-1971), also helped to popularise the bob, which complemented her streamlined designs. The love for all things exotic can be seen throughout the decade. The discovery of Tutankhamen’s tomb by Howard Carter in 1922 was a huge influence on art, architecture, fashion, films and jewellery – Art Deco owes much to Carter’s discovery. Jewelled headbands were designed with an ancient Egyptian look to them and one style of blunt-cut bob with a wispy fringe was called the Egyptian Bob, inspired by the hairstyles seen in Egyptian art. Magazines were full of adverts, selling everything from cosmetics to cars, plus fashion advice and the famous. Vogue, The Queen, Ladies’ Home Journal, Harper’s Bazaar, Life and the Gazette du Bon Ton were some of the main publications. Film fan magazines were popular and showed the looks worn by the film stars. During Victorian and Edwardian times, it was OK for little girls to have a bob, but short hair on women was not the done thing – it was not seen as respectable. Hair would only have been cut short for reasons like illness, lice, punishment – or worn short by trail-blazers and arty types who liked attention. One such showoff was French singer-actress Polaire (Émilie Marie Bouchaud, 1874-1939) who wore short skirts and short hair as early as the 1890s (good grief, what a hussy!). The carefree attitude of the young generation was a reaction to World War I. Losing so many young men to war gave people a “live for now” energy. Women were also seeing more opportunity in life. Having taken the place of men in factories and fields gave them a taste for jobs outside domestic service. New electric-powered labour-saving devices like cookers, vacuums and washing machines allowed for more free time, as did using processed food items. The motorcar allowed women to venture away from home territory. In Britain and The United States, many women had the right to vote for the first time. The time for the young, free and independent woman was now. Women started to rebel against the moral restrictions on society – the biggest move of all was getting their hair cut short, discarding the Victorian belief that hair was a girl’s “crowning glory”. It was quite a jolt for women to cut their long hair so short – bobbed styles were initially met with shock and resistance. In some western countries, for example, women who worked with the public, such as teachers, department store workers and office girls, were fired for coming to work with bobbed hair, and some schools banned bobs. Preachers sermonized against the bob, and various conservative types made claims that cutting one’s hair short could lead to all sorts of nasty side effects like a moustache, baldness or life eternal as a spinster. Heavens! Cutting long hair short was quite a transformation, and not everyone immediately went short – women sometimes had a gradual change from long to short. Some never cut their hair. Either way, barbers did very well out of the hair revolution, as women flocked to the experienced cutters who gladly cut off their hair. As with all trends that create shock waves, things gradually calmed. By the mid-’20s, much of society was becoming more accepting of short hair, and older women were also going for the chop, preferring the convenience of shorter hair and no more frizzing, backcombing, stuffing and pinning. 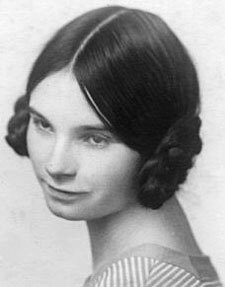 By the 1930s, hair was getting slightly longer and softer in style, and the sharp lines and shortness of the bob were no longer fashionable. The youth quake had quietened. It would be a few decades more before the young caused such outrage and shock again. A kiss curl (spit curl) was a strategically placed curl (or collection of curls) from the parting onto the forehead. Curls softened a hard cut or added a touch of feminism, and could be seen below the brim of a cloche hat. Rumour suggests that the number of kiss curls equated to the number of times a girl had been kissed by different boys. Curls were set with soap, homemade gels or a shop-bought product. Brilliantine was a product designed to add sheen and control to hair. Made by several manufacturers including Colgate. A straight fringe and hair ending just below the ears. Also called a “Buster Brown”, after the cartoon character’s bobbed hair, and would come to be known as a pageboy. For those without a fringe, a side parting was the thing and the hair was held back with a bobby pin or slide. The shingle (top picture) where the hair is thinned at the back to the nape with a razor, exposing the hairline (often left in a tapered shape). The front of the hair was longer and kept in place with grips or slides. Orchid bob is a short bob with two definitely flicked-up side curls that sit on the cheeks. The rest of the hair was sleek and smooth. When worn under a cloche, the two curls would peek out. Coconut bob is a very short and unforgiving style, with a solid straight fringe and no parting. The hair length sat around the middle or top of the ears. Has a fringe that with a distinctive parting that ran parallel to the forehead. The rest of the hair was swept back over the crown. A softer-looking and longer bob, named after the popular dance of the decade. The hair came to just below the ear lobes and had large, soft waves in it. It was very fashionable in 1925. Eton bob (bottom picture) also called the “boyish bob”. A very short bob, shaved at the back and cut above the ears. Appearing in the mid-1920s, it was named in Britain after the hairstyle favoured by the Eton schoolboys. The masculine style attracted much comment and was often the target of cartoons and the press. Windblown bob is a series of waves brushed forward (a bit like sand ridges on a beach). Not everybody had hair that suited the sleek and smooth bobs, so styles that suited curly or thicker hair were adopted. Hair could be tamed with chemicals or heat, but not everyone wanted to go down this route. Some women looked as if they’d just got out of bed at sea. Some white women with frizzy hair also wore it au naturel, a kind of 1920s afro. Water waves (also known as finger waves) started to be seen more during the second half of the 1920s. The waves were created by using pushing a comb through wet hair in alternating directions to create defined crests and troughs in the hair. Things could be used to keep the waves in place as the hair dried, such as butterfly clips, hairnets and even material strips wrapped around around the length of each wave. Marcel waves were created by using heated tongs in dry hair. These waves looked more defined than the softer water waves, creating crisp-looking crests, and lasted longer due to the heat used. Black women would straighten their hair using pomades and a hot iron, before styling it into a typical 1920s hairstyle. Alternatively, wigs could have been used. The metal hair pin was designed to keep the short bobbed hairstyles in place. Appeared in about 1922, as bobs were increasing in popularity. 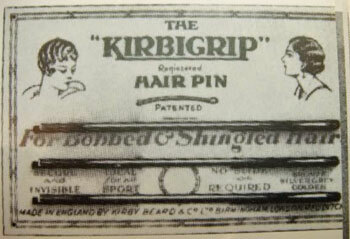 In Britain, the hair pin was called the Kirbigrip, made by Kirby Beard & Co. Slides were also worn to keep hair in place and for decoration. On waved hair, a slide would be used to keep the C-shape of a wave and to hold the hair off the face. Spanish mantilla combs were a fashion accessory in the 1920s – inspired by the Parisian trend for the combs. Ladies with long hair would use a mantilla comb to hold the hair in place (hair was worn up in a bun or chignon), as well as provide decoration. Mantillas could be made from materials such as Bakelite (an early plastic), tortoiseshell, ivory or silver, and came in a variety of designs, decorations and styles. The browband emerged at the end of World War I. The thin band was worn around the forehead and earned the nicknamed the “headache band”. Browbands were made from a variety of materials, including ribbon, cotton, knitted wool or even a string of pearls. Bands could be plain and simple, or more elaborate with decoration or embroidery. A bandeau was a much wider strip of fabric than the headband, worn around the forehead. It was worn so most of the forehead was covered, and the top of the hair was showing (a bit like a cloche with the top cut off). The cloche hat was invented by Parisian milliner Caroline Reboux in 1908 and became the defining hat of the ’20s. Wearing a hat was still the done thing for social engagements. Made from any soft material like rayon, straw, wool, cotton and felt, the bell-shaped hat (cloche is French for “bell”) is pulled down low over the ears and brow. Bobbed hairstyles could cope with being squished under such a snug fit. Hats could be plain, embroidered or decorated with things like flowers, ribbons, jewels or beads. By the 1930s, the cloche had evolved into the coal scuttle hat with a deep and wide scooped brim. The Tam O’Shanter is a traditional Scottish knitted hat (or bonnet) with a pompom on top that has been worn by both men and women for centuries. They started to be seen during WWI when the women who worked in the munitions factories formed football teams, and the Tam O’Shanter (or similar knitted hat) was simply part of the kit. Women’s football in Britain was hugely successful, often more so than men’s. Ironically, the popularity of women’s footy became its downfall – the Football Association got their jealous Y-fronts in a twist and, in 1921, banned women’s teams from playing at their pitches. It would be five decades before women’s football was recognised by the FA. 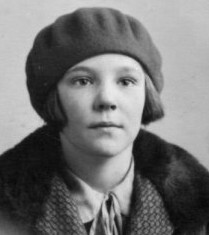 Other soft headwear worn included turbans and berets, worn low over the head like a cloche hat, as opposed to being worn on one side (which is more 1930s). Long scarves were wrapped around the head and tied at the nape. A leather aviator helmet could be worn when out in a car to protect hair from dust and wind. When Greta Garbo wore a brimmed felt hat in A Woman of Affairs (1928), she sparked a trend for American women to wear this type of soft hat. Wigs (or transformations as they were known) were very popular and allowed women to have a change of style. Wigs were good for deeply waved hair wasn’t always easy to achieve and maintain. Short wigs were also good for women who didn’t want to cut their hair, but still have a bob, and backfalls were used to add length to a short cut when required. Wigs were made to look natural – women didn’t want their postiche to show. Discretion was the word. But I Don’t Want a Short Haircut! Continue wearing the styles of the tweenies (period between the Edwardian era and the 1920s), which needed long hair to dress up into the loose and low chignon styles. Mimic short hair by putting long hair up – women could embrace the look of short hair without the cut. One style involved winding plaits up by the ears, and was nicknamed “earphones” after the style of earphones people used to listen to broadcasts on crystal radio sets. Alternatively, hair was fashioned into a bun or chignon at the nape. Wear a wig – transformations were popular and a good way to create the look of a bob, while keeping the hair long. One actress who kept her locks long was 1920s box-office phenomenon Mary Pickford. 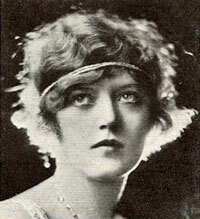 She wore her golden hair in curls and ringlets, before finally succumbing to a bob at the end of the 1920s. Good girl. Drowne, K & Huber,P. 2004. The 1920s (American Popular Culture Through History). Greenwood Press. 360pp. Sherrow V. 2001. For Appearances’ Sake: The Historical Encyclopedia of Good Looks, Beauty and Grooming. Greenwood. 288pp. 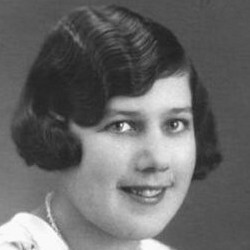 Hi Jenny – older women may have gone for the bob (it was widespread among different ages and classes) or kept their longer hair worn up (e.g. Queen Mary). Would a young black girl (10 or so) have their hair straightened? That is a really good question. Looking through the few pictures we found from this era, as well as books that cover “black hair throughout history”, it seems to be a “yes for some – no for others” answer. Some pictures show children with natural hair (often short), while others show kids with their (slightly longer) hair looking straighter and dressed into “fashionable” styles of the era (they also appear to be from a wealthier background – not necessarily rich, just not poor). As straightened hair had a big part to play in black women’s social standing, we can imagine that hair straightening was a part of many a girlhood. Madam Walker’s pressing comb and hair products were taking off in the 1920s, and some women who were young girls during this time and the 1930s recall being taught how to use the pressing comb by their mothers – see this book “Hair Matters: Beauty, Power, and Black Women’s Consciousness” on Google books. I am preparing to celebrate my husband’s birthday he is an African American and I wanted to show some of the styles back in 1926 his birth year. I found the clothing and the cars, but I could not find the hair styles of black women or men during that time. Hi Delores, Ladies would have had typical styles of the 1920s e.g. bobs and water waves (either straightened and styled, or wigs were worn). Men would have had short natural hair. 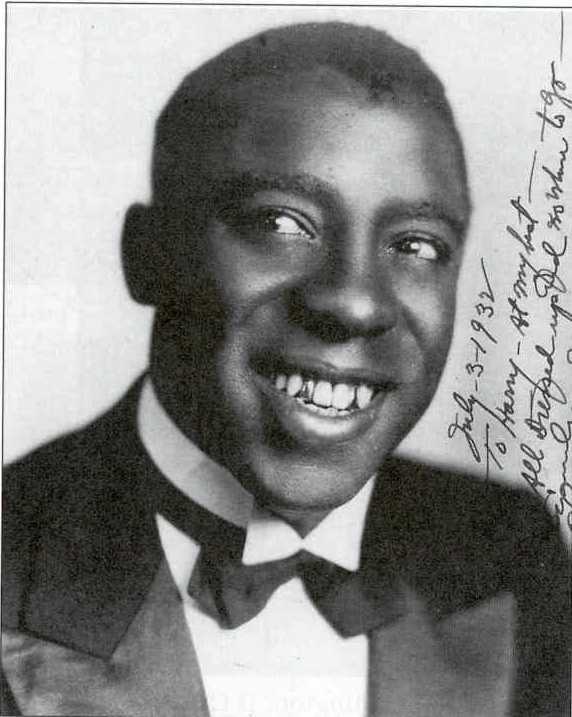 Hope the pictures below help (Clarence Muse photo is signed 1932 – it’s the nearest we could get).